Especially in small and medium sized organizations chances are high that not enough emphasis has been placed in protecting critical business data. Smaller organizations hire ‘PC techs’ to take care of their computer needs, and while the IT company may be doing a good job, it’s still the business owner’s and manager’s responsibility to identify which business data needs protection and prioritize it over other, less important data. Apart from investing in a server backup software that is appropriate for the organization, the organization could set up a data backup scheme to minimize the risk of losing critical data. Today’s knowledge-driven companies spend a considerable share of their budget on the creation and management of information; hence, protecting this data will most likely need a strategy, too, in order to be efficient. Standard practice is to back up files and databases on a daily basis, or more often when data updates are critical to the organization. For these types of backups, it is generally recommended using local storage media that is immediately accessible in case of accidental loss. The next eventuality to guard against is total loss or damage to the server holding the information. To cover that scenario, it is standard practice to use centralized storage, for example a network attached storage device, and consolidate data from multiple servers simultaneously. This type of recovery scenario would require some downtime, however, because in case of a total loss, new hardware needs to be obtained and set up first before the data files can be recovered. Another strategy to combat this issue, if sufficient funds are available, is replication. 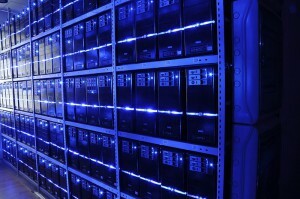 One or more servers replicate their data several times a day to a backup server. In case of a failure, the backup server takes on the load. While this strategy works well, it increases costs. In addition, Hyper-V backup servers would either need to be more powerful as they handle the load of multiple servers, or the quality of service would drop dramatically in case of a fail-over. As complete failures are less likely, organizations often combine data from several servers to be handled by a backup server in order to reduce costs. Cloud Backup is the third kind of differentiation you could use to protect your data offsite. In case of fire, destruction, or vandalism of your main office site, your data is protected at one or more distant sites that are completely independent. Serious organizations with a lot of risk at stake may even choose to send their backups over the internet to data centers in different continents. Naturally cloud backups offer valuable additional protection at a cost. Data center storage isn’t cheap and internet bandwidth is neither; however, the main issue until today is the relatively low bandwidth available to businesses in the U.S., with the exception of certain metro areas. Yet another newer trend is virtualization. Virtualization on platforms such as Hyper-V and VMware allows entire computer networks to be run on flexible hardware. Servers can be virtualized and moved instantaneously from one hardware node to another without downtime. Using appropriate Hyper-V VM Backup techniques, servers may be protected live without interruption. Especially when older hardware is still in use, it may pay off to switch to a more powerful server and virtualize older servers into a single virtual host. While this strategy is quite efficient and saves operating costs, it also introduces more complexity and a single point of failure: if your previous five server network is now running virtualized in just one server, a single failure will bring down the entire network. Protecting your IT infrastructure is quite a complex topic when data is dispersed around the organization. It’s probably best to work out a customized strategy with your IT service provider or a data protection consultant to ensure, all important scenarios have been adequately dealt with.